Machine wash cold – like colors.do not bleach.tumble dry low, remove promptly. Carhartt’s 2-in-1 fleece headwear combines a fleece hat with a pull-down face mask that tucks up into the hat when not in use. The hat is 100% polyester fleece and the face mask is a 90% polyester/10% spandex blend. For added comfort, the inner mask features a moisture-wicking finish. The carhartt logo is sewn on the front. 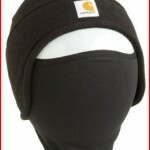 Our 2-in-1 fleece headwear combines a fleece hat with a pull-down face mask that tucks up into the hat when not in use. 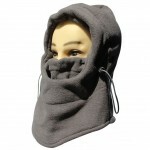 The hat is 100% polyester fleece and the face mask is a 90% polyester/10% spandex blend. 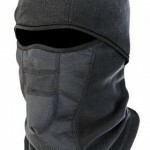 For added comfort, the inner mask features a moisture-wicking finish. The carhartt logo is sewn on the front. There’s nothing worse than having a neck gaiter slip down as you tear up some moguls, which is why Airhole made the Cinch Insulated Airtube. 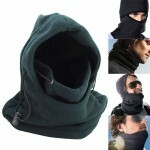 With a convenient elastic cinch cord and ergonomic design, this neck gaiter stays in place all day long. Hypoallergenic acrylic fabric keeps your face cozy while the antibacterial finish resists odors and fights bacteria. 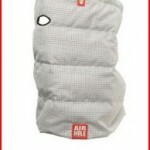 And since there’s a built-in Airhole, you get to breathe naturally so you never have to readjust to catch a breath. Wears well for hunters, trappers or any outdoors men. Also good for sports like snowboarding and skiing. Dear Buyer, Please Recognize the Sportown trademark.The Products without the Trademark is Counterfeit.Sportown Seller is the Only one Genuine Seller.If you have any question you could e-mail us. 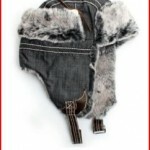 Classic Trapper Hat: Old school style meets tenacious warmth. flock lining for warmth and comfort. Polyester outer shell for easier cleaning. Chin straps and buttons to fasten ear flaps. Versatile design perfect for day to day casual wear, snowboarding or skiing. Call us crazy, but we just happen to think your headwear should consistently provide a beggars banquet of BTUs. So quit playing with matches and build a bonfire around your brain with the element busting energy of the N-Ferno Cool Series. All N-Ferno Warming Products include winter liners and other head wear designed to keep workers warm and comfortable. We’ve got versions for cool, cold, and extreme conditions with hi-tech fabrics and superior features for reliable warmth from ear-to-ear. 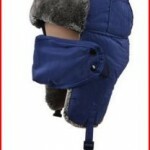 In fact, most liners have pockets next to the ears to hold warming packs. 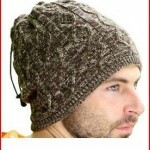 Adjustable strings make the hood to be a warm hat. Double layers, inner fleece, outside knitting. Contrast inner and outside color. 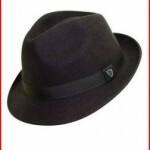 The DPC 1921 crushable wool felt fedora with a snap brim and a matching 12 Ligne grosgrain band. 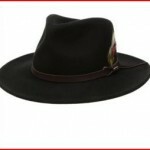 It has a 2 inch brim and comes in sizes medium, large, and extra large.